So first take the information about our website Friends, as you know, we have a channel on our YouTube, in which we cover octapad on the mobile with song and make a cover video that is the name of apk is mobile octapad and in that apk we absolutely like patch like octapad Creates videos by uploading youtube. So the thing is that I give my patch to the people and we would give them link in the description of the video, but all our youtube family members said that the brothers made you a website and well thought out if the website If all the brothers want to download patches and music songs, they will finally make the website. मैंने यह वेबसाइट क्यों बनाई ? तो पहले हमारे वेबसाइट के बारेमे जन लेते है ,दोस्तों जेसा की आपको पता है की हमारा youtube पर mobile octapad के नाम से एक channel है जिसमे हम आपको mobile पर octapad apk को गाने के साथ cover करते है और एक cover वीडियोस बनाते है उस apk क नाम है drum machine और उस apk में हम बिलकुल octapad की तरह patch बनाके youtube पे videos अपलोड करते है| तो बात आयसी है की माय ओ patch आपलोगोको को भी देता हु और ओ हम वीडियो के दिस्क्रिप्शामं में link देके देते थे लेकिन हमारी सभी youtube family मेसे बहोत सरे लोगों ने कहा की भाई आप 1 वेबसाइट ही बना दो और मुजे भी लगा की अगर website बना दी तो सभी भाई अपनी मर्जीसे कोंसे भी patches और म्यूजिक गाने sample download कर पायेंग तो finally मायने ये वेबसाइट बनाइ. download octapad sound and sample. download octapad high-quality HD sample and pack. download mobile octapad remix songs. 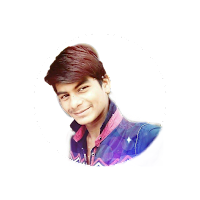 My name is Omprakash Zade I'm 18 years old. from Maharashtra (INDIA) I am currently studying.12th class and I have a Youtuber channel on youtube channel name is mobile octapad please visit! I like making patches on mobile octapad and playing it very well. apart from this, I enjoy all the things related to the internet, computer, software, and technology.